You want a wireless outdoor WiFi security camera that is truly WIRELESS with no cable at all? Or you simply need a wireless outdoor security camera with WiFi setup? Either way, you will find the best wireless outdoor WiFi security camera solution here that works perfectly to your needs, with or without power cables. And further we will discuss the wireless outdoor security cameras without WiFi – Can wireless cameras work without Internet? Have searched and searched for a true wireless outdoor WiFi security camera but still ended up with the annoying cabling for power? Actually, the word wireless in the security industry means that the data transmission is wireless, with no regard to the power supply. So generally you will find both the camera that is truly wireless and the ones that still need AC power plugs when you type wireless outdoor WiFi security cameras in the search box. Here I’ll just break the topic down into two different parts accordingly. A truly wireless outdoor WiFi security camera is typically battery powered for motion detection, with the battery life of 4 to 6 months (depending on the activities in the monitoring area). 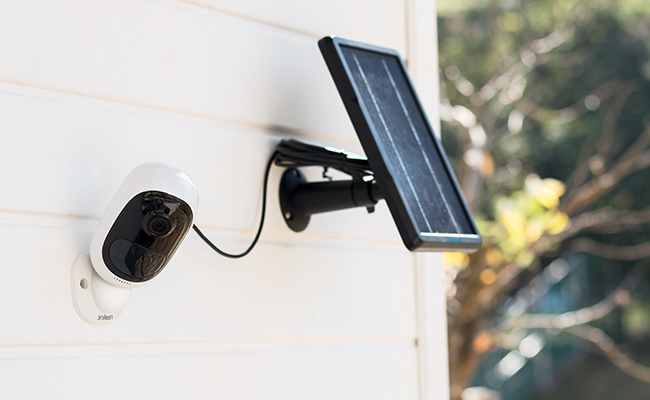 Some higher level wireless outdoor IP cameras like Reolink Argus 2 also support solar power if you add a solar panel to it, so you don’t need to charge it frequently. 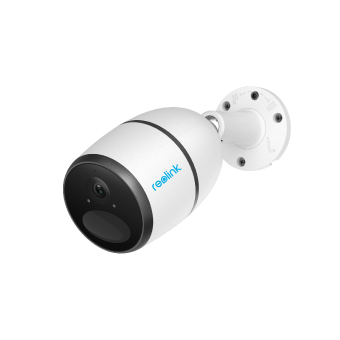 One of the most popular features of this wireless outdoor WiFi security camera, as the Reolink users pointed out, is that it is highly portable and easy to install so you can move it around easily when needed. If the above features settle your needs well, you may take a look at the Reolink Argus 2, the best received wireless outdoor WiFi security camera with no subscription and extra fees. Another popular wireless outdoor WiFi security camera is the traditional camera types that need to be plugged in for power supply. But still, this wireless outdoor WiFi security camera is a portable pick compared with wired (PoE) security cameras, since you don’t need to run the cable back to the NVR or PoE switch. Just plug the wireless WiFi outdoor home security camera into a nearby power outlet, and then it will work. The greatest thing about this wireless outdoor WiFi security camera is that it can be connected to an NVR for 24/7 video recording and monitoring. And you may add more cameras to record to the NVR and set up a wireless outdoor IP security camera system. 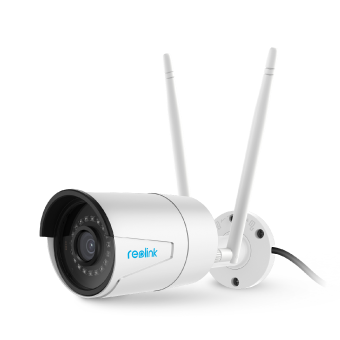 If you are keen to this type of wireless outdoor WiFi security camera, be sure to check out the most popular Reolink RLC-410W with top reviews from both the media and users worldwide. Do you have to have WiFi for wireless outdoor security camera? Some wireless cameras can work without Internet by using the cellular network. Just try the 4G security camera. Running on 4G cellular data and battery power, this type of wireless outdoor IP security camera don’t need WiFi to stream videos to your phone, offering you a perfect solution to monitor the off-grid places with no WiFi and no power, like the remote cabin. And Reolink Go is highly recommended if you want to go this way. Note: Actually, all wireless outdoor WiFi security cameras, including the solution #1 and solution #2, can record and save recordings to the SD card or the NVR locally without Internet. But if you want remote live view and motion detection alerts on your phone, which requires videos to be sent over the network, only the 4G security camera could realize that. When looking for a wireless outdoor WiFi security camera, there are basically 3 things you may care about: the WiFi connectivity, the weather, and the night vision capability. To give you a straightforward understanding of the wireless outdoor IP CCTV camera WiFi connectivity, we performed a test with Reolink cameras. And the result shows that the wireless outdoor WiFi security camera can receive signals 210ft away from the router in the open area (without any interference and obstacles in between), and deliver very stable live streaming. Well, if you plan to use it around your house, a safe distance would be 60ft away from the router with 2 walls in between, according to our test. 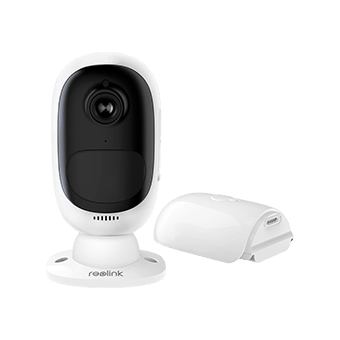 Generally speaking, get a quality wireless outdoor WiFi security camera, like the Reolink RLC-410W with dual-band WiFi, can effectively avoid the camera off-line and the common network issues. If you find the WiFi network is rather challenging in the monitoring area, you may use a WiFi extender to effectively boost the signal. Worried that the wireless outdoor WiFi security camera would break down in the harsh weather? With the IP code (International Protection Marking), you can easily know whether the outdoor wireless HD IP security camera could deal with your local weather conditions. Generally speaking, the IP65 rating, most commonly seen on battery powered wireless WiFi outdoor home security cameras like Argus 2, is enough for exterior of the house monitoring. For more tips in choosing a waterproof wireless WiFi outdoor security IP camera, continue to read this comprehensive guide. Searching for a solid wireless outdoor WiFi security camera setup that focuses on the night time activity? Then don’t miss out the IR night vision in the camera specifications. The wireless outdoor IP CCTV cameras with IR night vision enables you to see distant objects (like 100ft away) clearly even in the total dark when there is no street light or other light source. If you want even better clarity at night, the battery powered 1080p HD wireless WiFi outdoor security camera, like Reolink Argus 2, offers starlight night vision with more sophisticated image sensors. Extra tips: To learn more about the wireless outdoor IP security camera with night vision, follow our senior editor, Yolanda, for further reading. This entry was posted in Buyer's Guide and tagged battery-powered security camera, outdoor, wireless wifi security camera.